Uganda Nursing School Bwindi(UNSB) is a Church of Uganda institution affiliated to Uganda Christian University. Governance of UNSB is under an independent board of Governors Bwindi Community Hospital (BCH) composed of Ugandans and non-Ugandans. The Hospital Board of governors is the overall governance body of UNSB. UNSB School management is responsible for the day today running of the school. 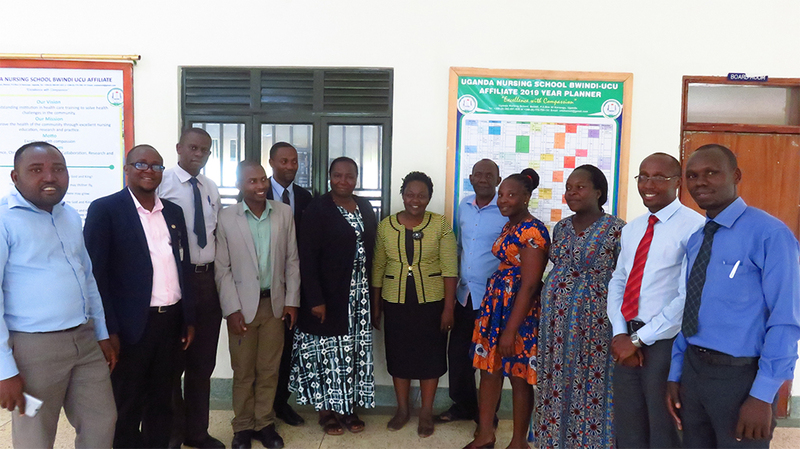 It comprises of Principal-chairperson, Executive Director-BCH who is a member, , Registrar-member, accountant-member, Warden-member, Head of Nursing and Midwifery Services of BCH-member, Chaplain and other co-opted members such as The Guild President, UNASNM Representative and internal auditor. In addition to the full-time tutors, the specialists at nearby BCH also get involved in teaching at the nursing school.Therefore the school employs more than 30 staff both part time and full time ranging from skilled professionals to support staff.